My wife Joan is not sweet—well not her diet anyway. Joan has the best practical understanding of nutrition of anyone I have ever met; and she practices what she preaches. Her #1 cardinal rule for her own diet: avoid consuming ANYTHING with added sugar (table sugar or high-fructose corn syrup) or anything considered “free sugars” (e.g. honey, fruit juice, agave syrup, other syrups). In fact, she doesn’t even eat much fruit—and instead makes it a point to consume at least eight servings of fresh vegetables such as leafy greens, cabbage, broccoli, kale, arugula, avocado, and tomatoes every day. Joan says avoiding sugar, and eating lots of non-fattening vegetables, are the two most important dietary steps for staying youthful and beautiful, not to mention healthy and happy. This doesn’t have to be complicated—eat or drink NOTHING with added sugar and do not consume “free sugars” (see above for examples). Eliminating all rapidly absorbable carbohydrates (e.g. flour, pasta, beer, cereal, etc.) is another great way to improve your health and appearance. For decades public health officials have urged us to slash our salt intake to a max of one teaspoon a day (and even less for certain populations). While these “enlightened experts” essentially ignored the fact that the average American adult consumes about 140 pounds of sugar each year, and another 150 pounds of wheat. Let’s be clear, it is extremely difficult, if not impossible, to maintain a healthy waistline and vigorous health with a sharp mind while eating these massive quantities of added caloric sweeteners, free sugars and rapidly absorbable carbohydrates. Joan hates the old adage: “Everything in moderation.” A person living by this motto, for example, might eat just one bowl of Fruit Loops for breakfast, and a small muffin from Starbucks mid-morning; for lunch a medium-sized croissant sandwich and only one cookie; for a mid-afternoon snack, just one soft drink and small doughnut; and for dinner just a modest amount of mashed potatoes, only one roll, and merely a single scoop of ice cream for dessert. This “moderate” diet is a nutritional DISASTER—loaded with sugar and processed carbs that trigger blood glucose spikes of at least 130 to 200 mg/dL five times during this typical American’s day. Each time your glucose levels skyrocket, the blood levels of free radicals and inflammation spike as well—eventually cooking your brain, rusting your joints, wrinkling your skin, clouding your vision, and clogging your arteries. 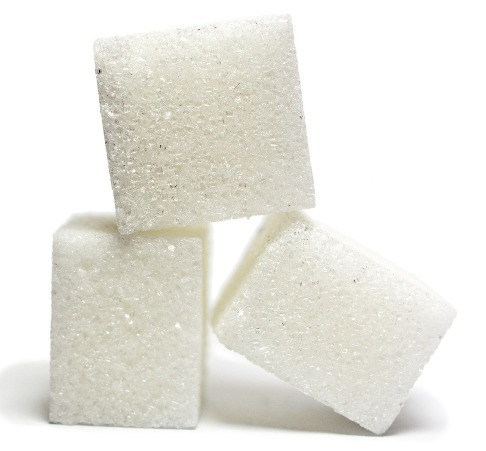 Additionally, these sugar “spikes” are followed by “crashes,” leading to subsequent hunger and continued craving of these rapidly absorbable carbohydrates. Moderation is not good enough when it comes to sugar and white flour—if your goal is to thrive you should shun these foods. The less you consume of these foods and drinks, the better you look and feel. Joan isn’t even tempted anymore by desserts she used to enjoy—she has lost her taste for sweets entirely. Sugar and wheat are addictive: the more you consume of them, the more you crave them. However, if you stop consuming sweets and wheat, in just a few weeks you will find that you don’t miss them anymore. In fact, because Joan no longer eats or drinks or serves me anything with sugar in it, I too have lost my taste for sweets. When I am offered candy, or a doughnut or a cookie, rather than thinking, “That would taste great,” I instinctively know, “I would feel miserable about 30 to 60 minutes later.” Honestly, it’s easy to avoid junk food once you have gotten over the addiction, and are able to feel the inflammation coursing through your system immediately after eating or drinking these delicious but toxic treats.